We are currently working on a 60'' Fairchild Metro-III depron prop plane that includes retracts, flaps and dual elevator servos. Here is a quick preview with two videos! The DreamFactory's scratch-built DC-9 EDF jet had a successful maiden last June, opening up new product opportunities. It is powered by twin 70mm EDFs (1500 watts total) and includes electric retracts, flaps and dual elevator servos. Construction is depron, wood and CF. As well as 3D foamies and pattern planes, The DreamFactory also focuses on the rarely-touched subject of airliners. 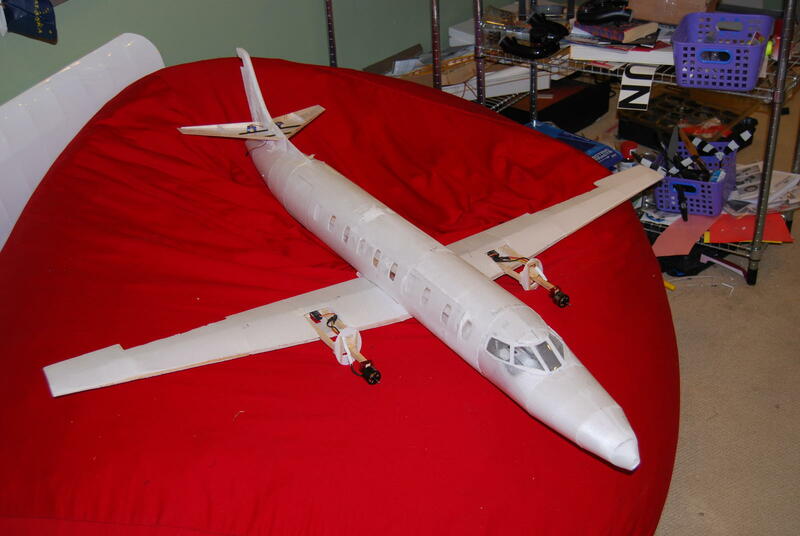 Our website manager (Ethan)is currently working on a 1/20 scale 60'' long DC-9-15 in Hawaiian colors. 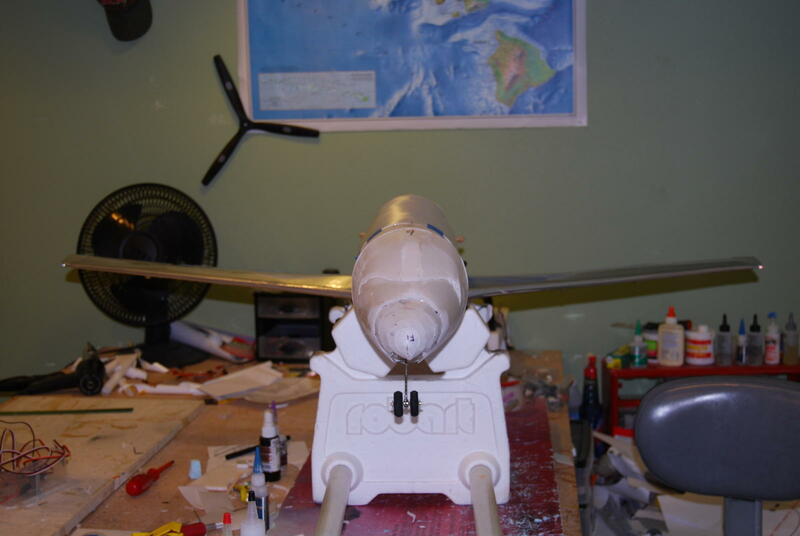 Keenan (CEO) is also in the design process of a 1/22 scale Boeing 777-300ER. The DF can make any custom airliner to order! Probably was not the best weather for flying, but i tried anyway. Hey Guys, Keenan Here again..
it is based around the Techone C20 motor & 9x5 Prop (Both soon to be added to the webstore) but i have made the nose moment slightly longer than Standard allowing you to use Lighter Gear if needed.